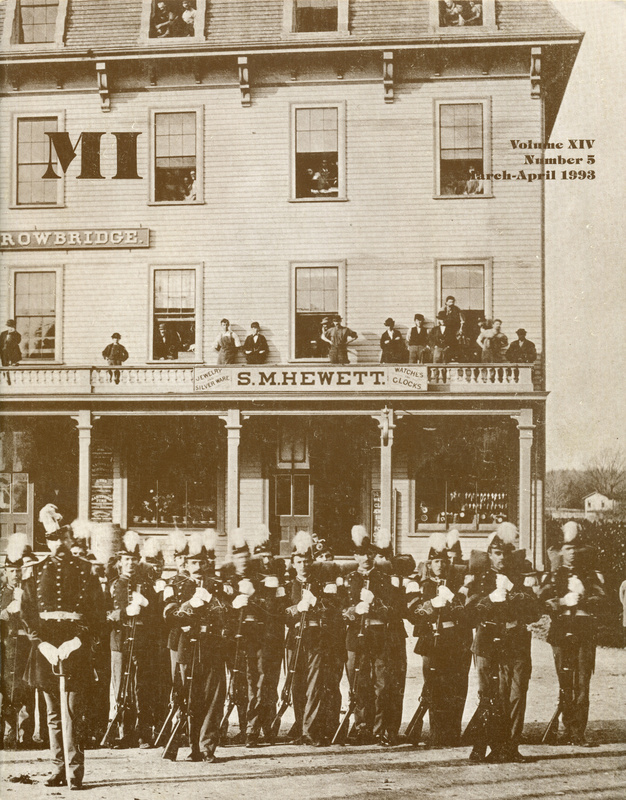 A post-Civil War view of a militia or National Guard company. The image was discovered in a North Carolina antique shop. The editor expresses hope that a new President and head of the Department of the Interior will take a stronger stand on battlefield preservation. The letters to the editor includes praise for David Sullivan’s vignette of Marine Henry Hallowell, and positive words from a new subscriber from Prague, Czechoslovakia. One publication is mentioned, George N. Barnard: Photographer of Sherman’s Campaign (Hallmark Cards, Inc.) by Keith F. Davis. “Buyer beware” is the prevailing warning in this collection of 14 images that may or may not be American Zouave soldiers. A survey of seven images includes staff non-commissioned officers of the 24th Massachusetts Infantry, Michigan cavalry soldiers, the Rhode Island National Guard band (circa 1906) and the winners of the 1914 inter-service baseball championship (Company M of the 24th Infantry). Five soldiers are pictured, including John Sheridan, George Brough, Francis M. Preston, Alexander H. Drake and Corp. Robinson. Nine images of individuals and groups reveal that remnants of the Zouave style existed as late as 1927. A tintype from the author’s collection is an outdoor view of six members of the company: Joshua Thornton, John Webber, Amissa Wood, Edward D. Castle, Frank A. Wood and Garrett Debraun. The first three men listed would not survive the war. A copy-print of Waldron, who served from 1861-1865, illustrates his memoirs of life in the service. Of particular interest is passages about the Second Battle of Bull Run, the Antietam Campaign, his capture during the fighting in The Wilderness and his imprisonment at Andersonville. The Captain attempts to pass off a post-war portrait of an actor as a Southern cavalier. 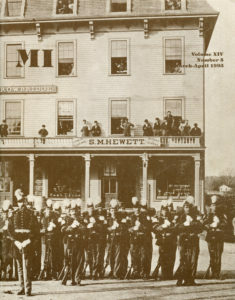 Continuation of the image on the front cover.